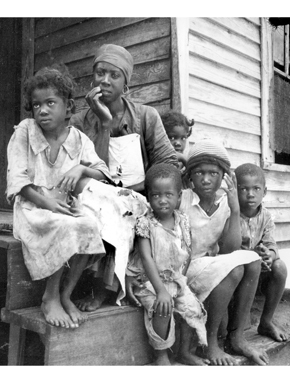 A family sits outside of a shack at an Alabama turpentine camp, photographed by Dorothea Lange in 1937 for the federal Farm Securities Administration. Courtesy of Library of Congress. Photograph by Dorothea Lange.